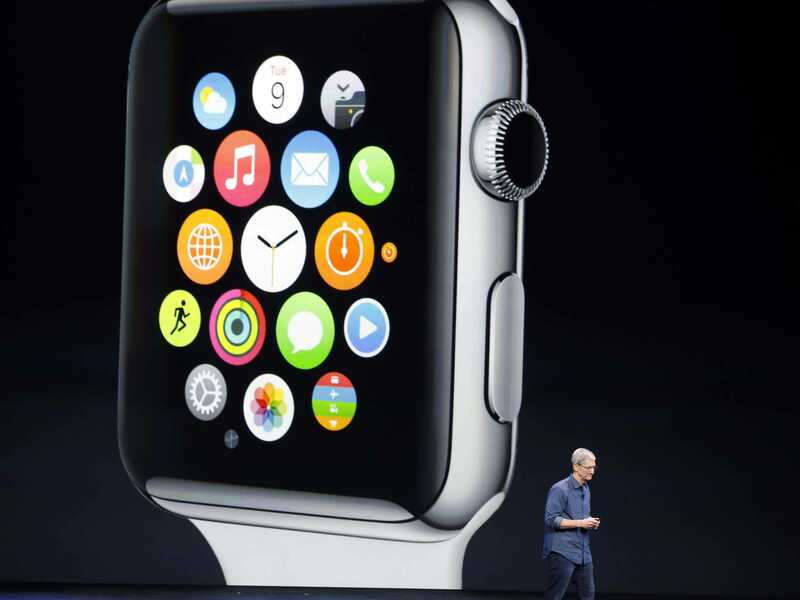 REUTERS/Stephen LamApple CEO Tim Cook unveiled the Apple Watch at an event in September. I’ve tested several smartwatches over the last year and change. I don’t think any of them are must buys for most people. A lot of that is because they share a common theme. They only act as mirrors of what’s already happening on your smartphone. That means every new notification — a new email, tweet, Facebook message, whatever — translates to a buzz and a flash on your wrist. It’s annoying and completely ruins the concept that a wearable computer should be an extension of the smartphone that adds to the experience, not mimics it. While we still don’t know for sure how much control the Apple Watch will give you over notifications, Apple gave a promising hint on Wednesday with the release of Watchkit, the tool developers will use to bring their apps to the Apple Watch when it launches early next year. By default, the Apple Watch will be able to deliver the same kind of app notifications you get on your phone. But developers have the opportunity to change that with two new notification types instead. 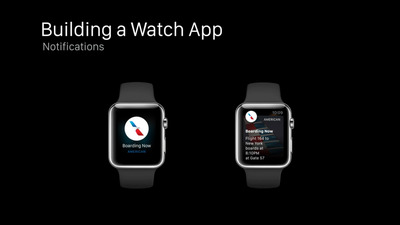 The above screenshot shows the American Airlines app running on the Apple Watch. The left screen shows an incoming notification called Short Look. The right shows screen shows another type of notification called Long Look. If developers use these tools, they can quickly display bite-sized notifications designed specifically for the Apple Watch’s smaller screen. In this case, it’s an alert that the user’s flight is boarding. But if the user keeps her arm raised, the notification shifts to Long Look and provides more details like the gate number and original boarding time. That may sound like a small feature, but it has big implications in the grand scheme of things. It gives developers the opportunity to make notifications on the wrist much smarter than what we’ve seen on other smartwatches. Keep in mind you’re spending at least $US350 for the Apple Watch, which needs a $US650+ iPhone to work. It will need to do a lot more than just display the same notifications you’re getting on your phone. And that’s probably going to be one of the key differentiators between the Apple Watch and rival platforms like Google’s Android Wear. Developers have the opportunity to make notifications smart and unique to the watch form factor. Rivals can’t do that yet.